Remove the tails from the shrimp, and devein if necessary. I like to buy these already cleaned so you don't have mess with it. Set aside. Mix together the sauce ingredients and set aside. Place the water and white sugar into a small or medium pot, and bring to a simmer. Add your pecans, and simmer for 3-4 minutes. Carefully remove the pecans onto a paper towel to cool. Preheat the oil in a high sided frying pan to about 350 degrees. That's over medium to medium high heat on my stove. Your stove may vary. If you don't have a thermometer, you can tell it is hot enough when the oil bubbles when a small dab of batter is added, and when your first shrimp comes to a golden brown in about 2 minutes. Whisk together the egg whites and cornstarch until well combined. Add the shrimp. Fry in batches until golden brown and all of the shrimp is cooked. 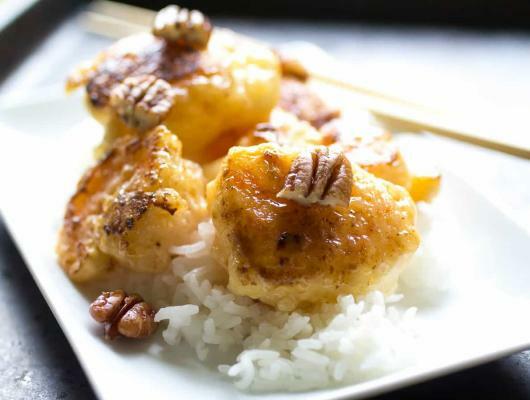 Toss the cooked shrimp with the sauce and candied nuts. 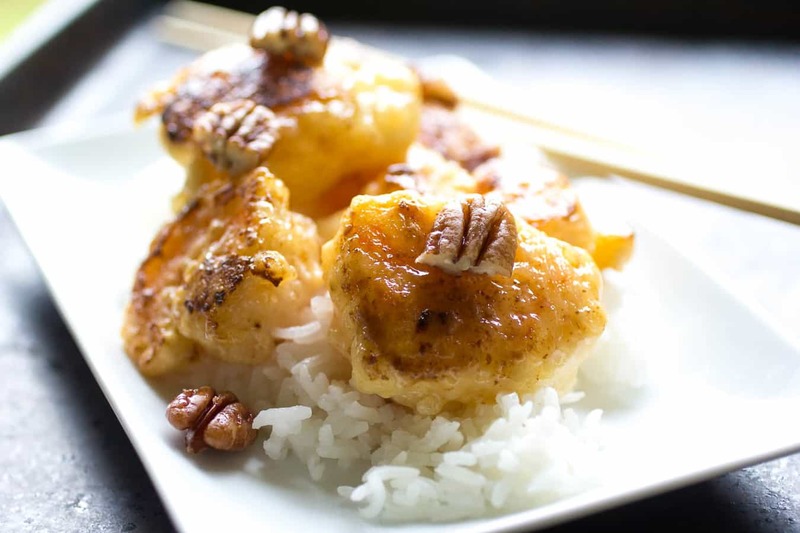 This homemade honey pecan shrimp will have you skipping that take-out line and getting into the kitchen. It is done in under an hour, and tastes just like Panda Express.